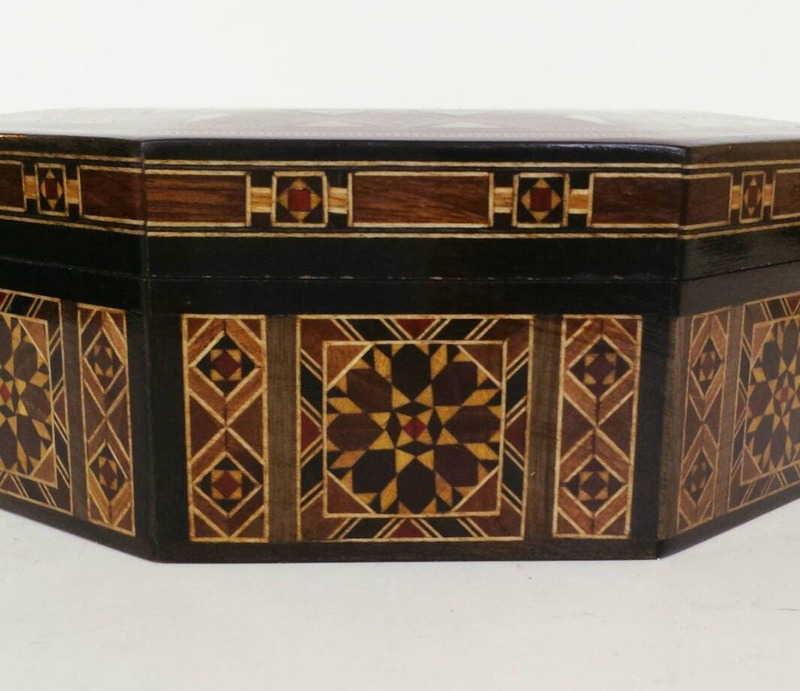 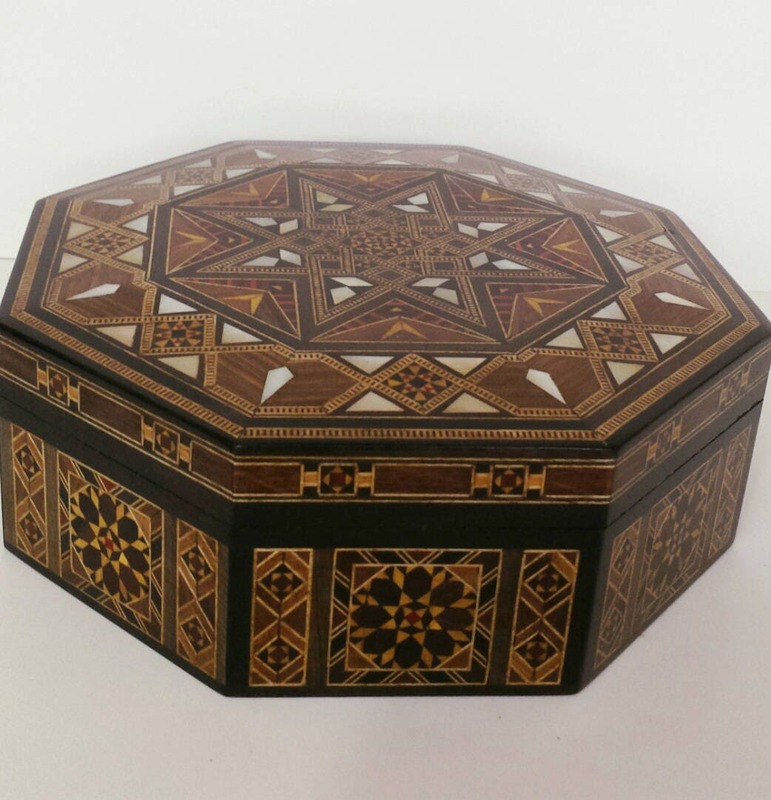 Wooden box composed of walnut wood that has been inlaid with a variety of fruit woods as well as the mother of pearl. 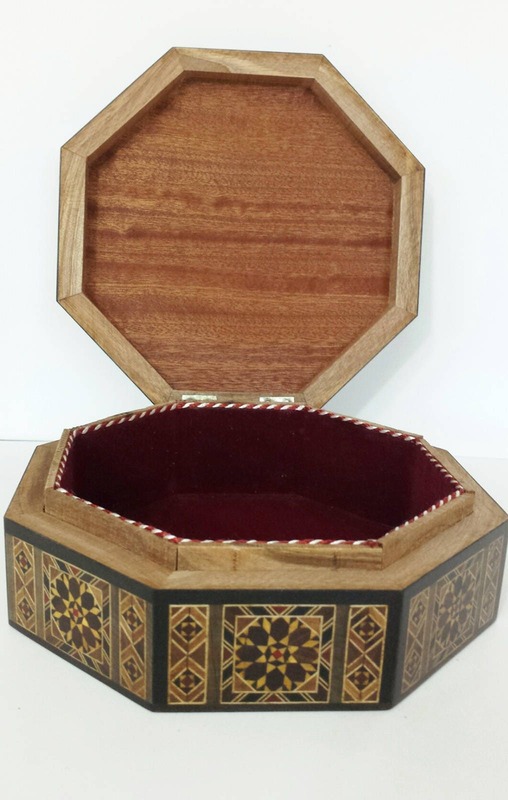 Padded with wine colored velvet. 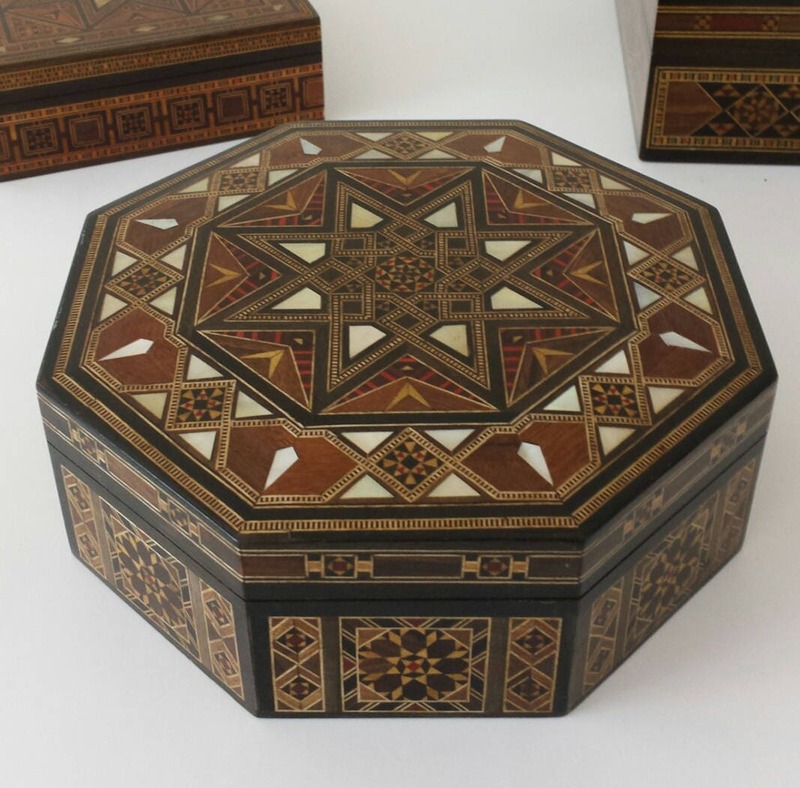 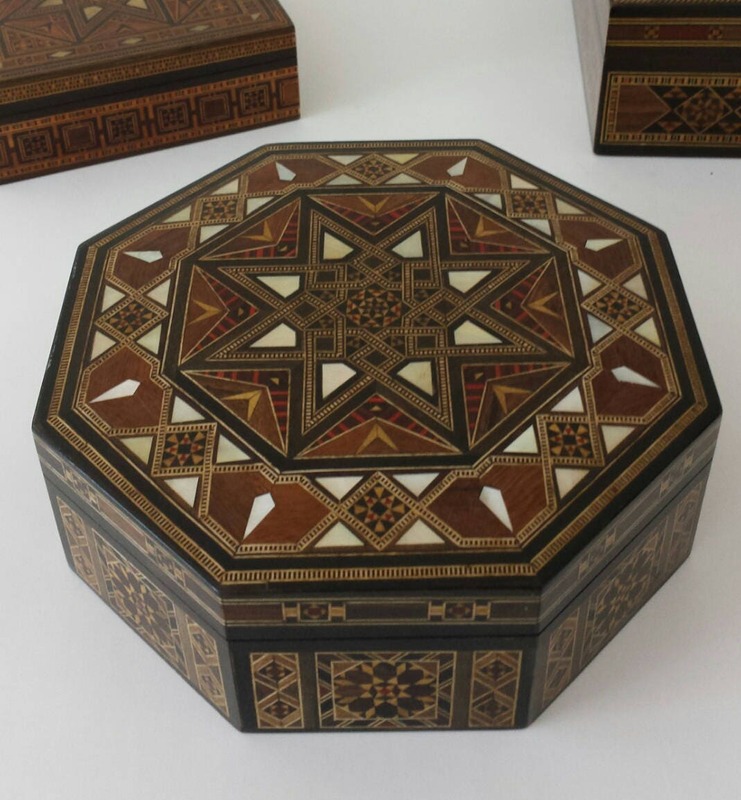 These woodwork boxes are unique and made by hand in Syria. 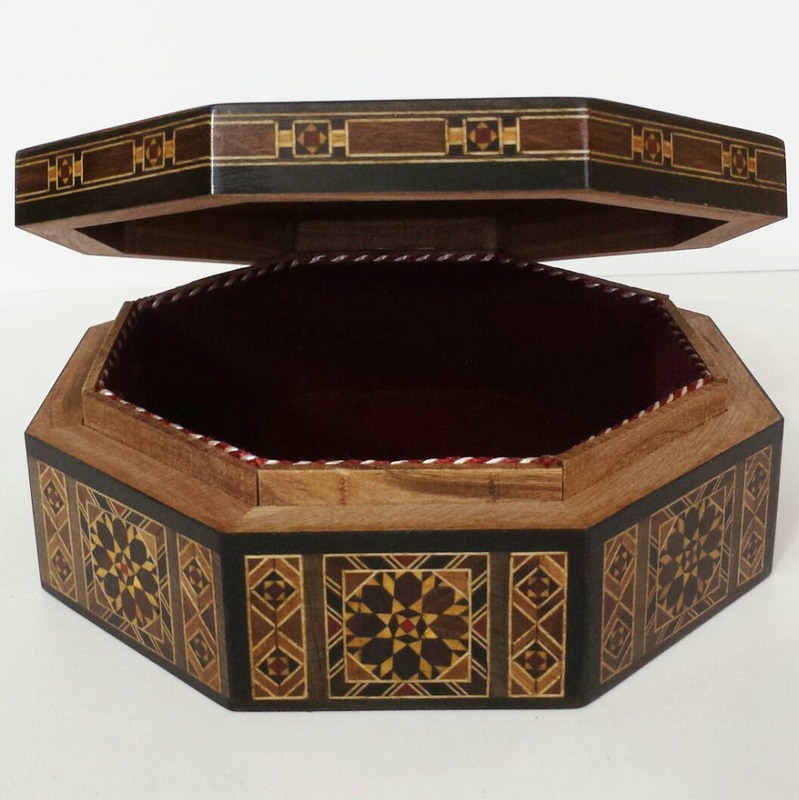 Use for jewelry, other valuable items, or simply for stylish home decor. 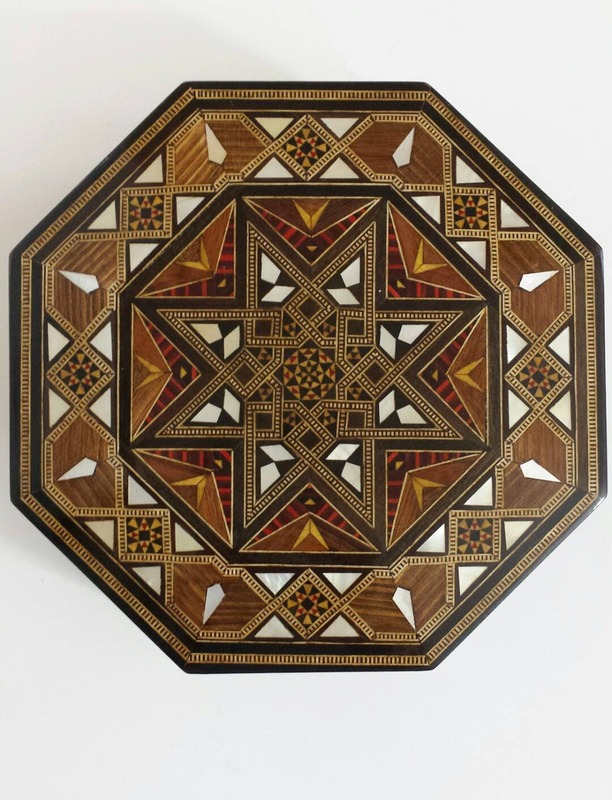 Dimensions: 7.6 X 7.6 inches diameter, 2.4 inches height.